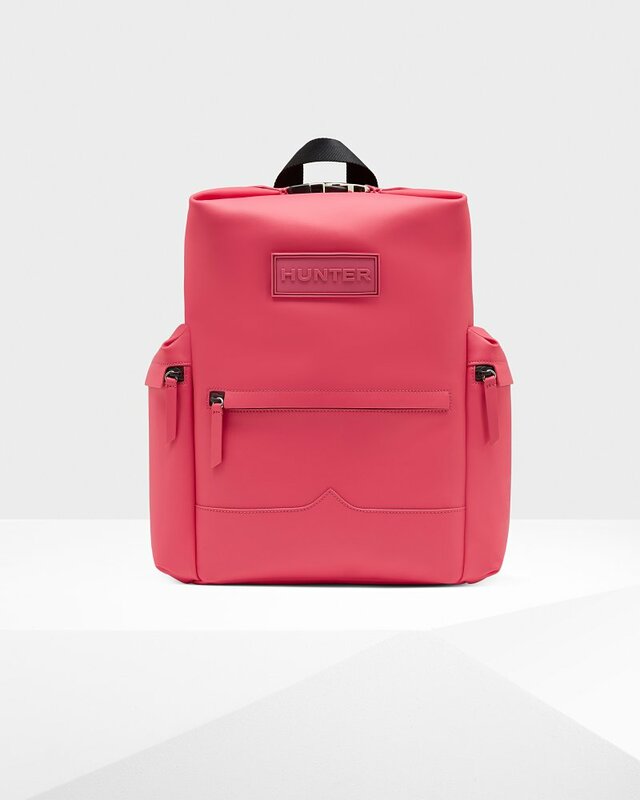 A practical, weatherproof backpack crafted from water-resistant rubberized leather. This bestselling style in bright pink is secured with a parachute clip and zip at the top, while the moustache detail at the front references our Original Tall Rain Boot. This spacious backpack has plenty of room for all the essentials with a depth of 11.5cm and a 17L capacity. An easy-access neoprene back pocket allows for safe storage of a 13.5" laptop while the padded adjustable straps offer increased comfort.